I am really excited to see how these quilts develop and grow! 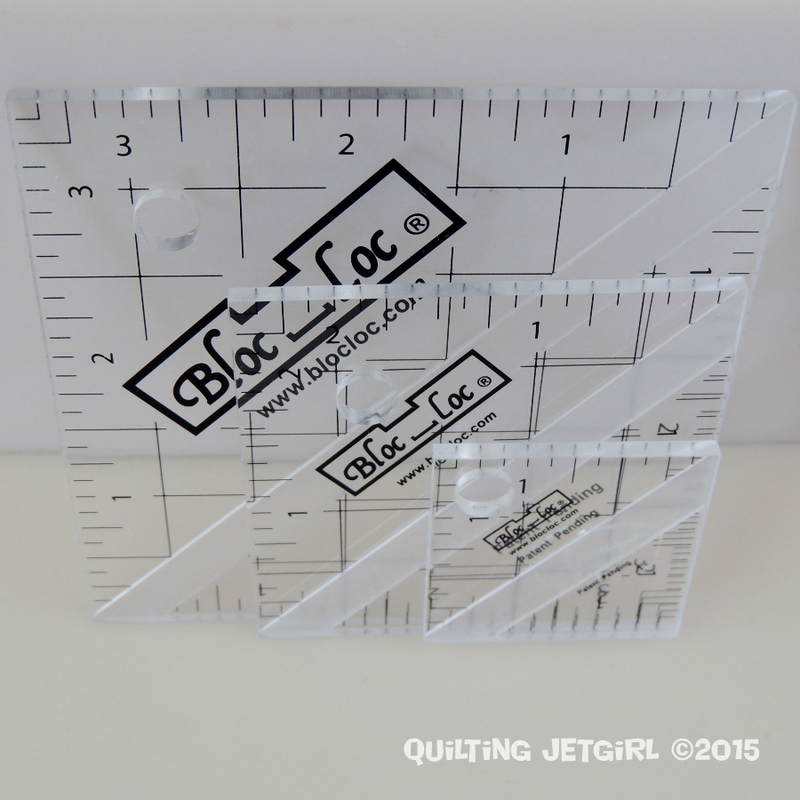 I was super lucky to win a 3 pack of Bloc Loc rulers from Happy Quilting and Ollie and Evie. They arrived this week. Photographing such shiny objects is really hard! Mine missed the photo shoot by arriving a day too late! I live how the music theme is clear on the left but still with lots of random/improv elements. Oh I saw that you won those! Very exciting, I look forward to hearing what you think of them! All those blocks look great together! I love that origami boat. Honestly, I don’t have time to participate right now, but my heart would have wanted to! The blocks on your wall look great already. I hope you get more than enough block-love in the mail! They look so cute together on the wall. Today I am especially grateful for rain. We need the moisture. Quilty wise, I am grateful to have batting on hand again. I just bought 12 yards. Oh that is an awesome win! I have been wanting to get a set of those rulers… considering they are so great for the HST that is so diverse! I hope to find out how well they are working out for you after you break them in a bit? Also… that is a nice stack already for those blocks! I cut mine last night and plan to sew them up this weekend as I am having a full sewing weekend (again) to catch up on a lot! I really can’t wait to see how you put these two together! It’s always so fun watching the process on your quilts. I struggled with photographing one of my rulers for a tutorial cause it was so shiny and it drove me nuts for hours so I hear your pain there. 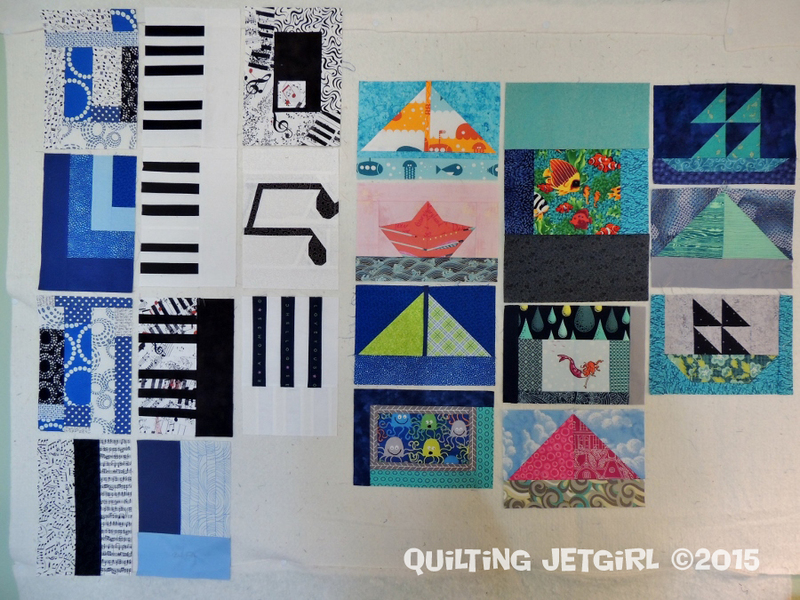 All those quilt blocks are just wonderful for the quilts, I need to dig through my stash cause I think I have some Salt Air fabric scraps that I won in a giveaway that I’ll have to piece into a block and send your way. The blocks look great, and that’s awesome about the Bloc_loc rulers because I love the 6 1/2″ one I have. If you have a rotating mat, I recommend pairing the two for the ultimate hst experience. Those blocks are looking great now you have a good few come in. I’ve been starting to think about what to make for mine, and, predictably for me, I’m drawn to applique! But do you think applique blocks will fit in, you seem to be getting more purely pieced blocks?